Image caption Google has said the EU's ruling is "disappointing"
A man who tried to kill his family is among the latest to request removal of search results from Google. A European court this week ruled that an individual could force the removal of some search results. The BBC has learned that more than half of requests sent to Google from UK individuals involved convicted criminals. A business has also sought for links to negative reviews on a forum to be removed. As the European Court of Justice made its ruling on Tuesday, many speculated that a flurry of similar requests would come Google's way. On Thursday it emerged an ex-politician seeking re-election has asked to have links to an article about his behaviour in office removed. A man convicted of possessing child abuse images had also requested links to pages about his conviction to be wiped. Since Tuesday's ruling many have come forward to question the practicality of the EU's decision. Media captionRory Cellan-Jones: "One can be sure that Google's lawyers will be trying to find a way out of this"
Wikipedia founder Jimmy Wales described it as "astonishing" and a form of "wide-sweeping censorship". However, the EU has defended the move, saying that in cases where the public interest case is more pressing than the individual's privacy rights, links should not be taken down. Getting that balance right is a delicate issue, said Michael Sandys from Liverpool-based Jackson & Canter Solicitors. "Lawmakers will need to ensure they find a way to allow some information to be removed in a timely fashion while at the same time not allowing history to be rewritten," he said. "If an individual goes to court about an article or piece of data which is found to be defamatory or inaccurate then there are levers in place for Google to quickly remove it from the search results." 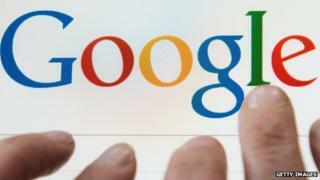 But he argued that Google could do more to deal with genuine cases of incorrect information. "I have made requests on behalf of clients a number of times for the removal of content which defames them. Sometimes it is dealt with well but other times the process can be slow and cumbersome." Google's official statement on the matter, unchanged since Tuesday, described the EU's ruling as "disappointing". Google: Who would want the right to be forgotten?